Two on, two out. The girl in front of you just got hit by a pitch and now the bases are loaded. Your team is down by 1. You’ve been in the on-deck circle going through your usual routine, waiting for your opportunity to step into that batter’s box. What’s going on inside your head right now? Are you anxious? Nervous? Excited? Are you ready and have you set yourself up to be successful? Let’s look at what happened prior to this plate appearance. You love softball, and you usually practice year-round with your travel team. You may even play multiple sports, have a job or be taking three AP classes, and so you have to balance all of those practices along with staying on top of your academics. You’re a student-athlete and that’s the expectation. But have you ever considered how good you could be if you constantly make the choice to exceed expectations? That extra, in my opinion, is where the magic lies, and it’s what separates the good players from the champions. Going to practice, being on time and being ready to practice are the requirements. But do you expect more from yourself? When you arrive at practice: Are you excited and happy to be there, greeting your teammates with hellos and high-fives? Do you get there early and help set up? Do you stay late and help pack everything away? Do you challenge yourself to have perfect form during throwing and warm-up drills? Or, do you go through the motions just to get them done? When practicing base running: Do you pay attention to your technique and try to do the little things to ensure you get to that next bag just a little bit faster? Do you sprint down to first every time? Or do you practice bad habits and let up if you think it’s a “gimme” ground ball out? When you practice hitting: Do you take the advice your coach gives you and adjust your swing, even if it’s awkward at first? 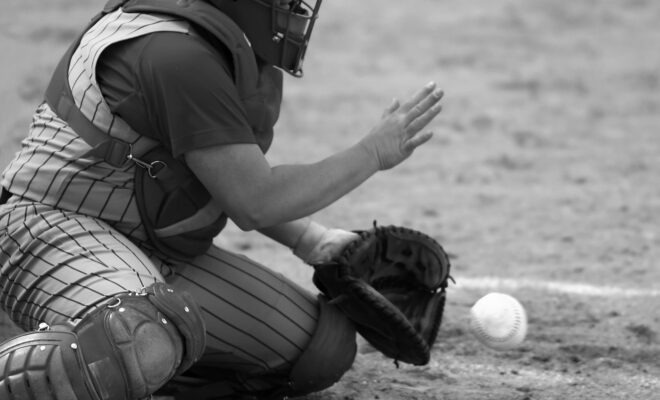 Do you work on hitting the pitches you struggle with the most, or just the ones in your wheelhouse? Do you get the full amount of reps at that station until you must switch stations, or do you try to time it where you can just switch stations as soon as you finish your last bucket, so you can avoid picking up the balls for the next group? In the weight room: Do you follow the protocol and increase your weights on each exercise for the next workout? Or do you ease up because you’re already stronger than anyone on the team? Do you find time to work on areas of weakness, form, stretching and recovery on your own, or just complete the required sets and reps during team workouts? When you work on agility: Are you always striving to better your dot drill or shuttle time from last week? How about that first step off of the bag when you steal? Are you working on staying on your toes and taking choppier steps to change direction, rather than over striding, and slowing yourself down by sitting back on your heels? As a teammate: Do you encourage, have fun and stay positive at practice? Do you engage in healthy competition by pushing one another no matter what drill you’re doing? Do you set the example and instill confidence in your teammates by being a leader through your words and actions? Or do you complain and find ways to cut corners? As a student: Do you pay attention in class and respect the authority of your teachers? Do you seek ways to help others that are struggling, or even reach out for help yourself? Do you make excuses for not having assignments done on time or do you plan ahead because you understand the responsibility that comes from the privilege of being a student-athlete? As a daughter: Do you thank your parents for the opportunity to play the sport you love? Do you let them know you are willing to pitch in and do extra things around the house to take some burden off of them since they are willing to sacrifice so much to help you? Or do you just expect them to pay for lessons and training because you feel you “deserve it”? Bottom line: Do you try to outperform yourself? Would your teachers say you are a joy to have in class and are an active participant? And would your parents say that you offer to help around the house without being asked, and are appreciative of their help and sacrifices to get you to and from your workouts and practices? If so, then you’re doing it right, and when you step in that batter’s box with those bases loaded and down by one, you’ll carry with you the greatest weapon possible: The knowledge and pure confidence in knowing that no one on that field has outworked you. When you continuously compete against yourself and work to exceed expectations in all that you do, you become your greatest competition. It is at that point, that you know you’ve built a championship mindset.